We normally use environmental friendly materials such as Recycle Papers, Reed Ware, Glass Bottles, Terra Cotta containers and soft wood to pack our value added spice products. Most of our packing materials are also hand made and labour intensive. 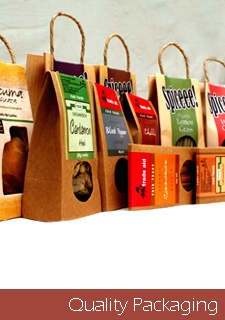 However at the request of any of our customer, we use other packing materials like HDEP, LLDP and Triple Laminated materials to preserve the aroma and moisture of the spices thus packed. 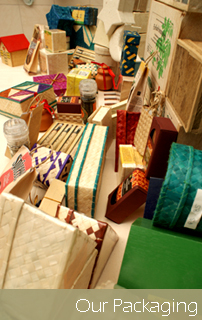 The production of natural packing materials are been done by women members of the producer groups affiliated to PODIE.